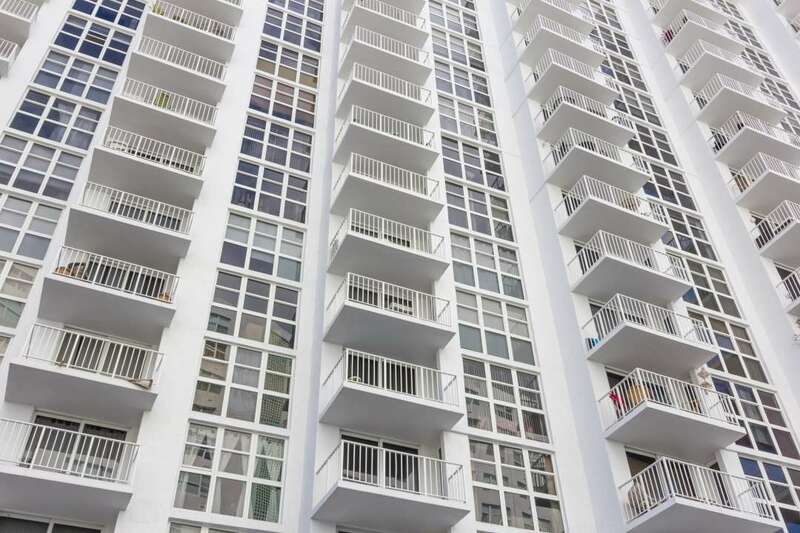 Bay View Terrace Condominium tower was built in 1964 on historic West Avenue, right on the Miami Beach Inter-coastal water way system. After years of disrepair, the building residents decided to proceed with a 10 Million dollar building restoration project that included impact window replacement. This project was particularly challenging because it featured extremely high, zone 5 pressure requirements, and an updated but historically accurate slab to slab glazing configuration. Wind Ready was selected as the glazing contractor of choice to install a full CGI Commercial Series glazing envelope consisting of Sliding Glass Doors, Operable Windows and Fixed Windows. The new glazing configuration updated the building look, added value, and provided immeasurable increases in safety and protection. During this project, Wind Ready worked closely with fenestration Engineers to design a window configuration that would highlight the inherent beauty of this building, conform to historical board standards and provide protection from the onslaught of the Atlantic Hurricane Season. Wind Ready provided the technical and material support necessary to implement and expedite the design phase of the project. Wind Ready worked closely with the concrete restoration contractor during the installation process. This intense restoration project took place while the building was fully occupied so rigorous safety and project implementation standards where devised to protect life and property, and ensure the project was minimally invasive on the day to day lives of residents. Each resident received a manual before the project started advising them of how to prepare and what to expect during the window and door replacement process. Accurate scheduling, detailed record keeping, and meticulous project management kept the project ahead of schedule. Careful coordination with engineering staff and our manufacturing partner CGI allowed us to certify each step of the installation. Field testing such as chambered water tests, and sealant pull tests verified our means and methods, and perfected the warranty process.